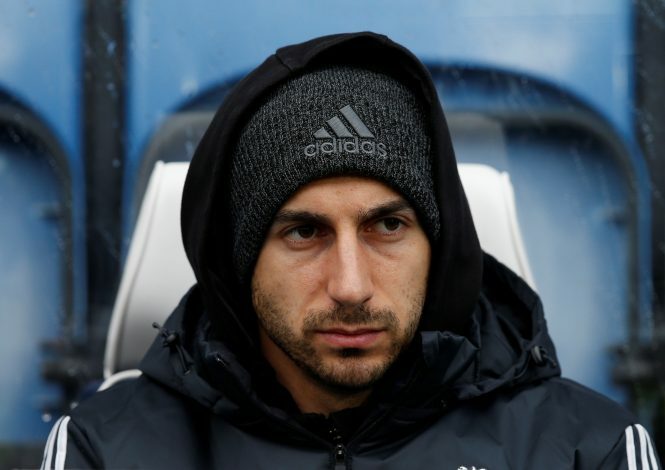 Henrikh Mkhitaryan has work to do in order to make a comeback in the Manchester United starting line-up, after having lost his place in the side under manager Jose Mourinho. However, the Armenian international is believed to be doing just that, in order to force a move back in a crucial phase for the side. After missing out from three of the previous four matchday squads, the former Borussia Dortmund player is desperate to make a return for the side and prove his mettle. And now, according to M.E.N. Sport, the 28-year-old is said to be doing extra gym work in an attempt to regain his place. The playmaker has been putting in extra hours between his training schedule after receiving the wrath from Jose. The manager has been vocal recently, highlighting that he is not happy with the midfielder’s performances, which have been quite disappointing. Jose could be criticizing the player in public in order to get a response from him, and Micki knows now is the time to get his confidence back – the one that saw him start the season so well. He was influential for United last season, and the Old Trafford outfit needs to see that on a consistent basis. Meanwhile, reports have also claimed that Borussia Dortmund are interested in re-signing the player in the summer. The versatile No. 10 knows he has enough competition at the moment, especially with the return of Zlatan Ibrahimovic. Therefore, he has a daunting task ahead, as he eyes a swift return.